Cancel By Owner is grateful for the endorsement and validation from many of our fine customers. We are glad that they were pleased with their results and took the time to express their pleasure. As a Timeshare advocacy group we pledge to continue to service our customers above and beyond the efforts provided by other companies. I bought a timeshare in Mexico and was lied to and taken advantage of by the sales people. I was called by Cancel By Owner and I signed up with them and they got my contract terminated and got me out of my payments and maintenance fees. My service fee that I paid them was well worth it and got me out of ten times that money in payments and maintenance fees. Thanks for everything. My wife and I were timeshare owners and every time we went to use our timeshare we were called to come down and talk to the sales people to purchase more time, whether it was fear or guilt we did go for it and came to realize we had made a mistake but it was too late to fix. CANCEL BY OWNER did manage to get our upgrade canceled while we still kept our original time. They are true professionals. CANCEL BY OWNER got us out of our timeshare contract and helped us protect our credit. They also got us money back. There is finally someone in the timeshare business that does exactly what they say they can do. They were straight forward, Honest and Professional. I bought my timeshare with my girlfriend when we went on vacation about 2 years ago after we bought it we split up. I needed help and called Cancel By Owner. Cancel By Owner was very upfront with me about the cost and guarantees they offered. I signed up with them and they were 100% successful in getting me out of my situation. I highly recommend them. We had bought a timeshare in Las Vegas while we were on vacation we should have realized like everything else there the odds are in the house favor. We were told alot of great things in the presentation that, like the come on line on the craps table, usually comes up empty. We talked to Cancel By Owner and saw their guarantees as far as helping us maybe the odds were in favor for once they came through with all there promises and we look at it as a big win in Vegas considering what they cost and what they saved us as far as the debt they got us out of. This was a no risk gamble. We owned our timeshare for a number of years and found we were told we could. We tried to sell it a couple of times through TimeShare resale companies which were scams and took our money. We reluctantly talked to Cancel By Owner, saw their service agreement and contract and signed up taking one last chance on some kind of relief. We are glad we did. We are free and clear of this burden and debt and we did get money back which we did not expect. We were contacted by Cancel By Owner having bought into the timeshare and timeshare pitch. They asked us a series of questions as to what we were told when we bought and they were right on the money. We signed up with them and we are completely satisfied and happy with the outcome. We will stick with camping trips from now on rather than jacuzzi n master bedrooms at expensive resorts. Cancel by owner canceled my existing contract on my timeshare, got me out of my monthly payment, got me out my yearly maintenance fees and safe guarded my credit score. Thank you for the service and thank-you for the help. 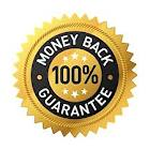 We would gladly recommend Cancel By Owner to anyone who is looking for a trustworthy company and the great help of there staff for getting our timeshare contract cancelled.